3 years ago I came across T.J’s Facebook Sickle Cell Support group. His views really resonated with my own and how I was managing my daughter’s care. 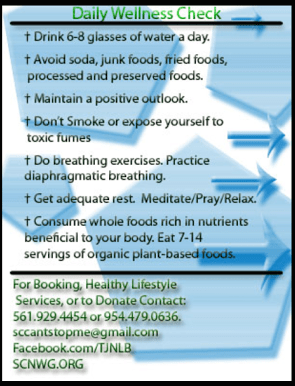 T.J is a young sickle cell warrior who is knowledgeable about holistic foods and wholesome healthcare. He travels across the country sharing his knowledge and experiences with others. I am very grateful that T.J. was willing to answer a few questions about growing up with Sickle Cell and I appreciate how he shares the information that he learns freely with others. Thank you T.J. for all that you do to empower others living with sickle cell anemia. I was diagnosed at birth. The doctors told my mother there would be a 50 percent chance I would have been born with sickle cell. They actually urged her to have an abortion because they where so sure I was not going to make it. While growing up with sickle cell was very limiting, it taught me a lot. All the excruciating pain and symptoms taught me patience, wisdom, and growth. Growing up with sickle cell is incredibly hard, but challenges can manifest a thought process to make life easier. Sickle cell has taught me adaptation. 4. How are you raising awareness about Sickle Cell Disease, and how can others help support this cause? 5. Is there one myth that you would like to dispel about living with Sickle Cell Disease? There are a lot of myths out there. For example, “only blacks get it,” and “we’re drug seekers.” While neither of these are true, there are even more important myths like, “eating has nothing to do with the reaction of sickle cell in the body,” and “medications are the end all be all.” These two latter myths are keeping us sick and dying frequently. Repeating the cycle only keeps us uninformed. I want the world to know that we are here, and we are closer to home than you think. We are suffering, we have little resources, and Sickle Cell sufferers are one of the most underfunded and debilitated of health communities. We need to continue to raise awareness, work together, and use nature in a respective healing manner. This is the answer. T.J. Brown is a sickle cell survivor. As a child he was told he wouldn’t live to see 14, and that he would not be able to have kids. He is 26 years old now with a happy healthy two-year-old son. Most people with his illness have a lifetime of pain and suffering. T.J. lost his spleen at two and his gallbladder at 19. After having several close calls with death, T.J. chose to stand up and make a difference in his life. Through the knowledge of a natural holistic lifestyle he was able to overcome something that was once thought of as impossible. After T.J.’s success with his own health, he has decided to share the good news and help people all over the world. There are many who are experiencing the benefits of natural, healthy living. T.J. spreads the word through poetry, art, music, collaborations, and participating/hosting events. T.J. Brown is currently a health and wellness public speaker, a health guide, and the Founder of Sickle Cell Natural Wellness Group Inc. (SCNWG), a 501(c)(3) non-profit organization birthed in August of 2010. The mission of SCNWG is to support health advocacy and build global awareness for Sickle Cell Anemia. Our dedication is to better the lives of those living with Sickle Cell Anemia and the sickle cell trait through education and healthy lifestyle choices. 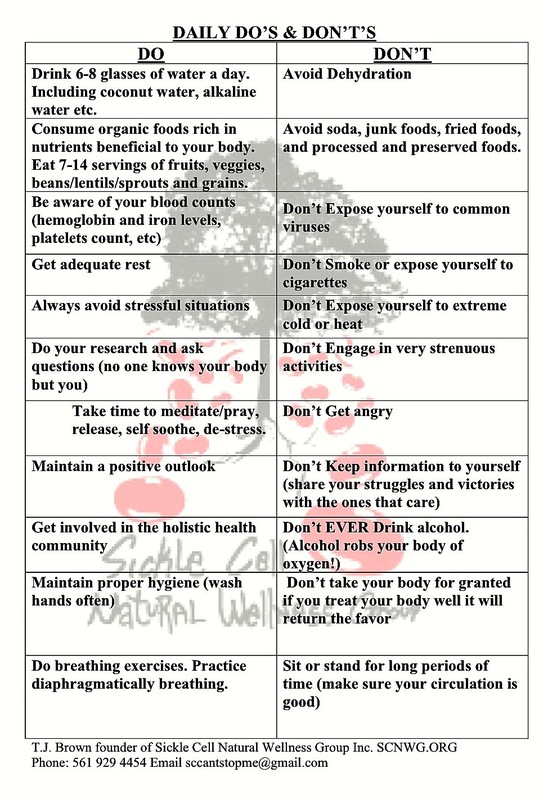 SCNWG reaches out to not only people with sickle cell, but also to others living with life threatening diseases with the approach that proper nutrition can result in a healthier life. The group gives back by visiting churches, homes, schools, and hospitals, delivering health foods, wellness supplies, and holistic wisdom.